Made Men Promotions is currently working on putting together another solid pro boxing card at Mountaineer, the third they've held at the casino's ballroom since September. The Steubenville based promotion company recently announced their next event, being billed as Cupid's Knockouts, will be held on February 10th, 2018. 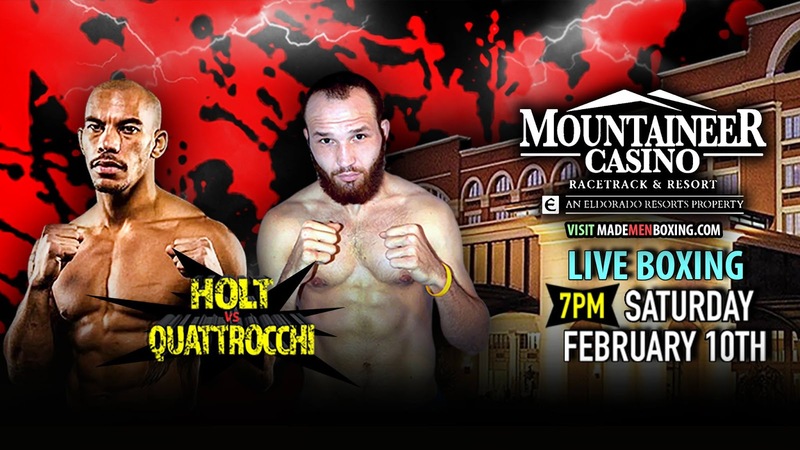 Headlining the event will be crowd favorite, East Liverpool native Joey Holt. 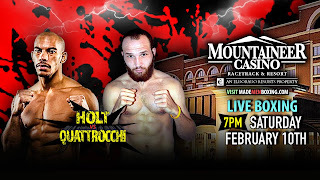 Holt, 32, who is 9-0 with 7 wins coming by way knockout will be taking on two-time West Virginia State Champion, Aaron Quattrocchi (10-2) in an 8-round super middleweight Inter-Valley clash in the evenings main event. Also slated to fight is up and coming lightweight prospect, Matt Conway of Pittsburgh. Conway, 22, who had put together an astonishing resume as an amateur has been impressive since turning pro in 2015 and currently holds an unblemished 11-0 record. MIddleweight Justin Steave (7-1) of Weirton, West Virginia will also be in action. We will have more updates and information as this card begins to shape up the next couple weeks.